Take an extra $25 off when you buy a complete pair of prescription eyeglasses or sunglasses at our Mineola or Middle Village office. 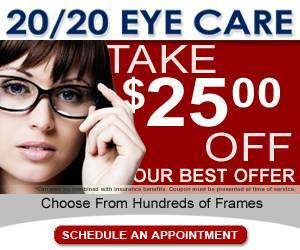 This offer requires a valid prescription and may be combined with insurance and other offers. This is not valid on previous purchases or contact lenses and is limited to one per customer. Offer has no cash value and must be presented at time of purchase. See store for additional details.